Saudi Arabia is in serious trouble. The Binladin Group, the kingdom’s largest construction company, has terminated the employment of fifty thousand foreign workers. They have been issued exit visas, which they have refused to honor. These workers will not leave without being paid back wages. Angry with their employer, some of the workers set fire to seven of the company’s buses. Unrest is on the cards in the Kingdom. In April, King Salman fired the water and electricity minister Abdullah al-Hasin, who had come under criticism for high water rates, new rules over the digging of wells and cuts in energy subsidies. The restructured ministry was to save the Kingdom $30 billion—precious money for an exchequer that is spluttering from low oil prices. Eighty-six percent of Saudis say that they want the water and electricity subsidies to continue. They are not prepared to let these disappear. They see this as their right. Why, they say, should an energy rich country not provide almost free energy for its subjects? When King Salman took over last year, he inherited a kingdom in dire straits. Saudi Arabia’s Treasury relies upon oil sales for over ninety percent of its revenue. The population does not pay tax, so the only way to raise funds is from oil sales. As oil prices fell from $100/ barrel to $30/barrel, oil revenues for the Kingdom collapsed. Saudi Arabia lost $390 billion in anticipated oil profits last year. Its budget deficit came to $100 billion—much higher than it has been in memory. For the first time since 1991, Saudi Arabia turned to the world of private finance to raise $10 billion for a five-year loan. That this country, with a vast sovereign wealth fund, needs to borrow money to cover its bills is an indication of its fragile fundamentals. What does a country do when it enters a period of crisis? It calls the consulting firm McKinsey. That is precisely what Saudi Arabia did. McKinsey sent its crack analysts to the Kingdom. They returned—in December 2015—with Saudi Arabia Without Oil: The Investment and Productivity Transformation. This report could have been written without a site visit. It carries all the clichés of neo-liberalism: transform the economy from a government-led to a market-led one, cut subsidies and transfer payments, and sell government assets to finance the transition. There is not one hint of the peculiar political economy and cultural context of Saudi Arabia. The report calls for a cut in Saudi Arabia’s public-sector employment and a cut in its three million low-wage foreign workers. But the entire political economy of Saudi Arabia and the culture of its Saudi subjects are reliant upon state employment for the subjects and low-wage subservience from the guest workers. To change these two pillars calls into question the survival of the monarchy. A Saudi Arabia without oil, McKinsey should have honestly said, is a Saudi Arabia without a monarchy. The King’s son, Mohammed Bin Salman (MbS), took McKinsey at its word. He then copied and pasted the report in his own Saudi Vision 2030. Little of Prince MbS’s statement differs from the McKinsey proposal. The eagerness of the Prince shows his lack of experience. It is unlikely that he has read Naomi Klein’s The Shock Doctrine, a full-scale assault on the idea of economic transformation. Even more unlikely that he has read Duff McDonald’s The Firm, an evisceration of McKinsey’s smoke and mirrors model. To base an entire country’s future on a McKinsey report seems reckless. But then Prince MbS has a streak of recklessness in him. He led the Saudi war on Yemen – and that has not turned out well at all. The peace talks over that war being held in Kuwait remain stalled. Saudi Arabia made almost no gains in Yemen. Should the man who led Saudi Arabia into humiliating failure in Yemen now be in charge of its economic transformation? 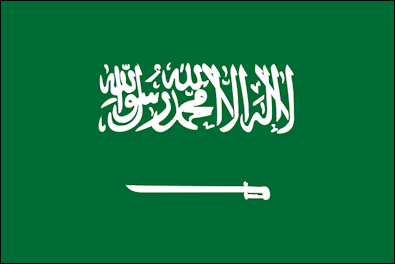 Saudi Arabia is a monarchy. Prince MbS has the King’s favor. His talents are measured by the King and not by the people. They will have to tolerate his shenanigans with the economy just as they have had to tolerate his failed war on Yemen. What is Prince MbS’s Saudi Vision 2030? Despite the attempts to create some stability in the oil market, there is no indication that oil prices would be raised to safe levels anytime soon. If oil remains below $50/barrel, Saudi Arabia has to revise its own economic project. That means that Saudi Arabia will have to find new ways to create revenues. To shift from an oil-dependent economy to an industrial-tourism-finance economy will require a massive dose of investment. To secure that investment, Saudi Arabia plans to sell a small stake of its state-owned oil firm—ARAMCO. The plan is to raise at least $2 trillion from that sale and from the sale of other state assets. This money will bolster the depleted Sovereign Wealth Fund, which might otherwise run dry by 2017-2020. The enhanced Sovereign Wealth Fund will be used to develop new industrial sectors such as petrochemicals, manufacturing at the medium scale and finance as well as tourism. Foreigners will be allowed to own property in the Kingdom and entrepreneurial activity will be encouraged by the state. How does all this happen by 2020 – the date proposed by Prince MbS—or even by 2030—the name of the Prince’s plan? Will Saudi Arabia be able to rapidly transform its population from being satisfied with receipts of oil revenues to being workers in an insecure market environment? History suggests a long period of dissatisfaction amongst the public during this kind of enormous transition. Can the Saudi royal family manage the level of anger and humiliation that this change will evoke? The IMF’s director of Middle East and Central Asia—Masood Ahmed—is sure that the transition will work just fine. In fact, Ahmed believes that the McKinsey plan is perhaps a little too modest. What the Saudis need to do, said Ahmed, is to attract more private investment to help the diversification plan. Where will this private investment come from? Perhaps from China, which has already signed a large ($2.48 billion) nuclear deal with Saudi Arabia. The kingdom is China’s largest oil supplier. China’s Sinopec, PetroChina and Yunnan Yuntianhua work closely with ARAMCO to build oil refineries in the kingdom and on the Chinese coastline. Chinese construction companies are building the Haramain railroad that will eventually link Mecca and Madina. China is the largest trading partner of Saudi Arabia. The Binladin group will mothball some of its cranes, but that does not mean that cranes will hang over the skyline of the kingdom. Chinese construction firms are prepared to build the new infrastructural base in Saudi Arabia. Washington, if it is paying attention, must see the drift of its old ally—either into social chaos or into the Chinese orbit. No other alternative exists.